A noodle dish of epic proportions. Not mine specifically - I mean ramen generally. If you’re a noodle addict (like me) you’ll know what I mean, this is one of the best noodle dishes you can get. 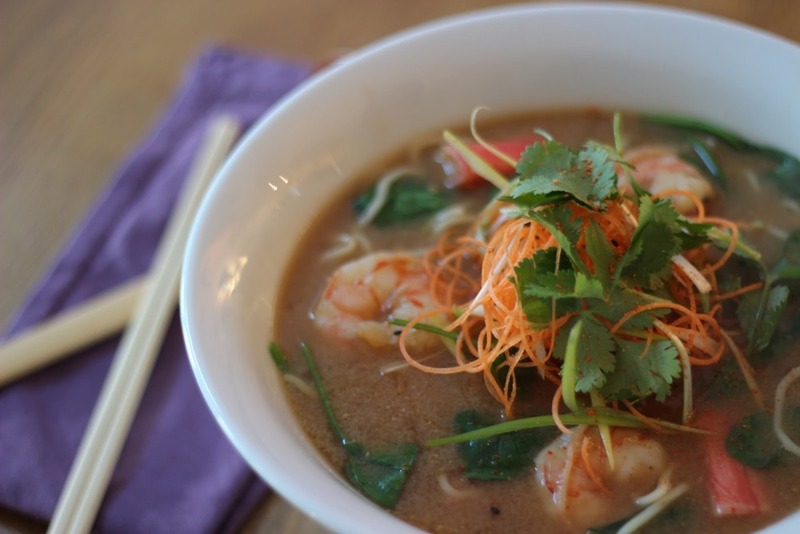 It contains delicious umami flavour, slurpy broth and long and slinky and wiggly noodles all spiked with prawns and crab sticks, a bit of Japanese seven spice pepper and some greens. Food for me doesn’t get much more fulfilling.